This is one of the newest stalls in this food centre. I was greeted by the Auntie when she spotted me taking picture of the stall. We chatted and she recommended the Katong Laksa to me. 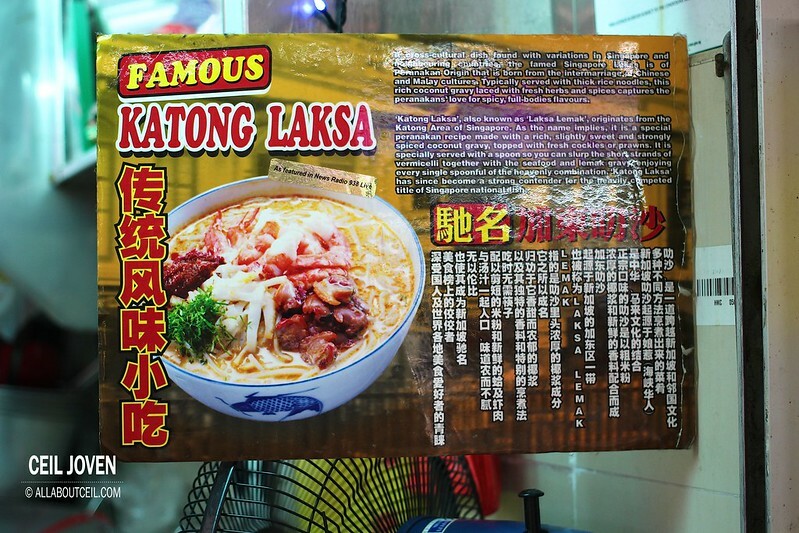 The Auntie insisted i took a picture of the poster featured the Katong Laksa. She even offered to give me a small bowl to try it. 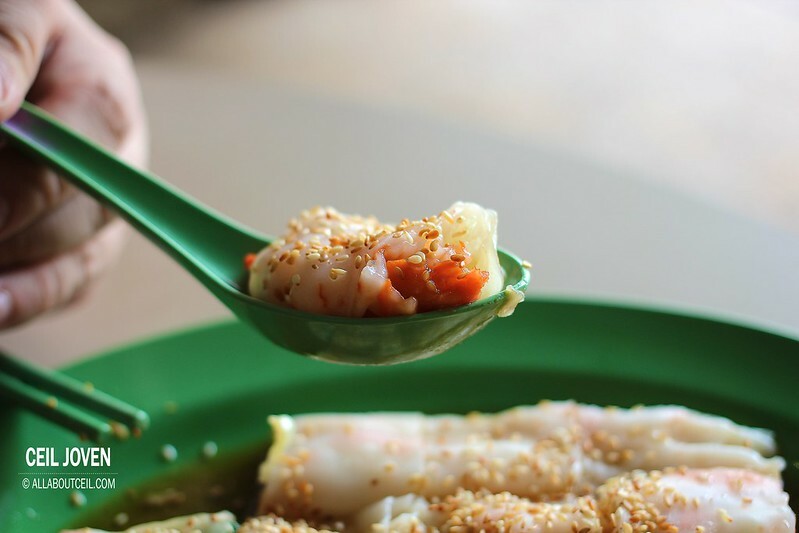 Interestingly, their Chee Cheong Fun came with various selection of fillings such as Roasted Chicken, Veggie & Egg, Seaweed Mushroom, Abalone, Otah, You Tiao and even Durian! The prices range from $2.80 to $5.00. 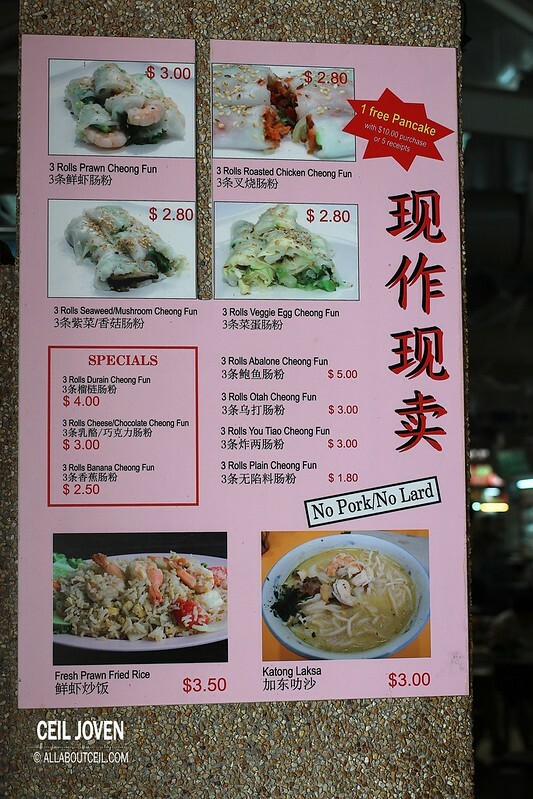 Fried Rice is available right at this stall too. 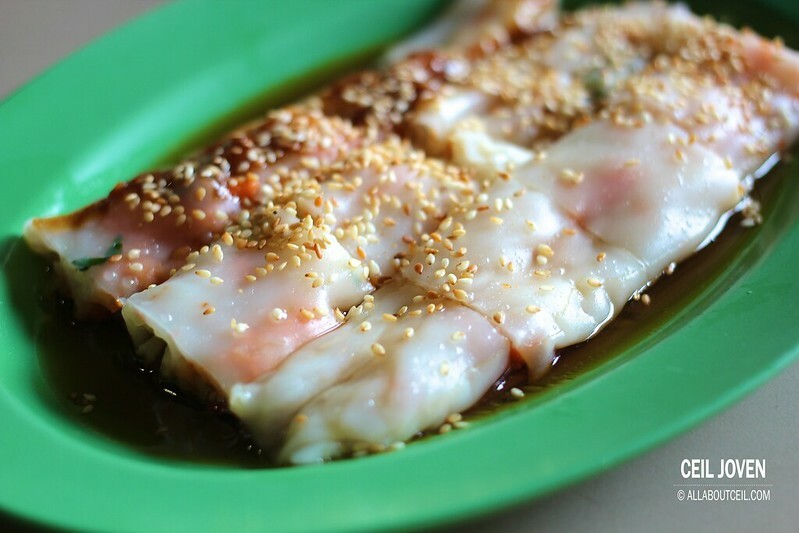 I decided to go with the Hong Kong style Char Siew Chee Cheong Fun for $2.80. 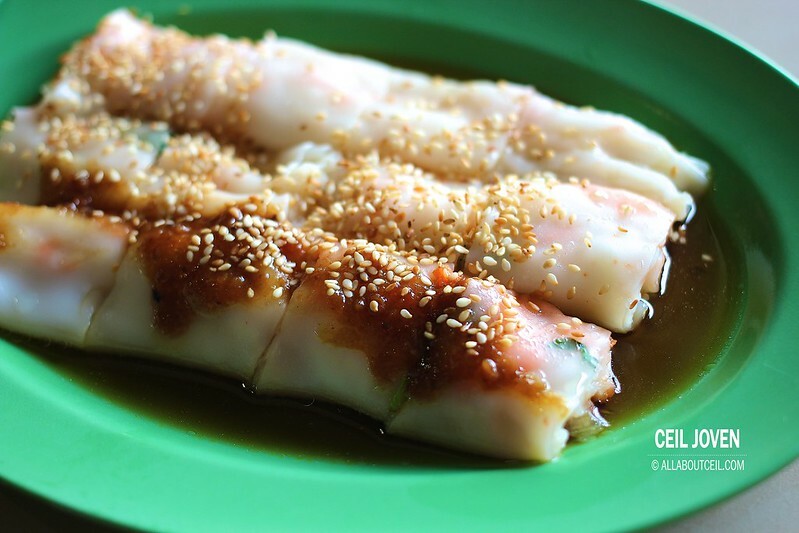 The Chee Cheong Fun is freshly handmade upon order. 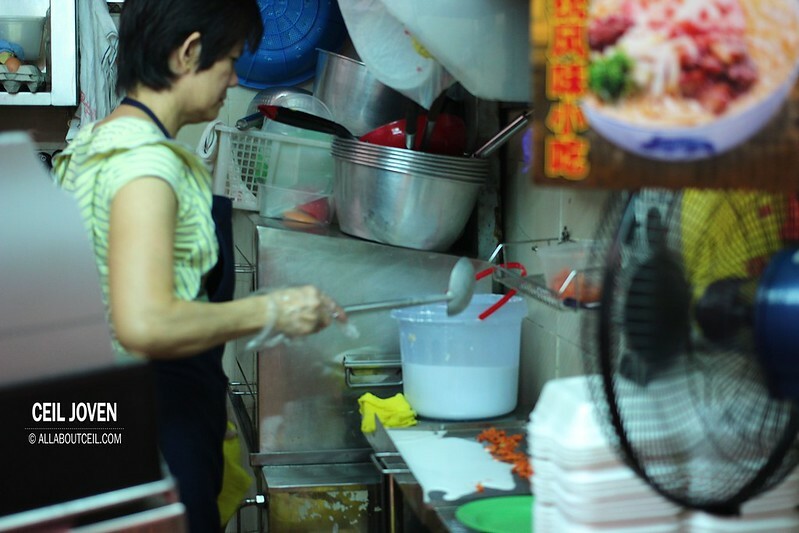 The Auntie scooped a ladle of the rice flour batter and poured them onto the steamer. The rice sheet was formed almost instantly. She then laid the chopped char siew together with shredded lettuce down then quickly folded it. She divided it into 3 rolls then further cut it into smaller pieces. It was then placed on the plate before poured the soya sauce over it and sprinkled with bit of sesame seeds. I wanted her to place the chilli by the side but she suggested that it tasted nicer when applied on the Chee Cheong Fun directly. 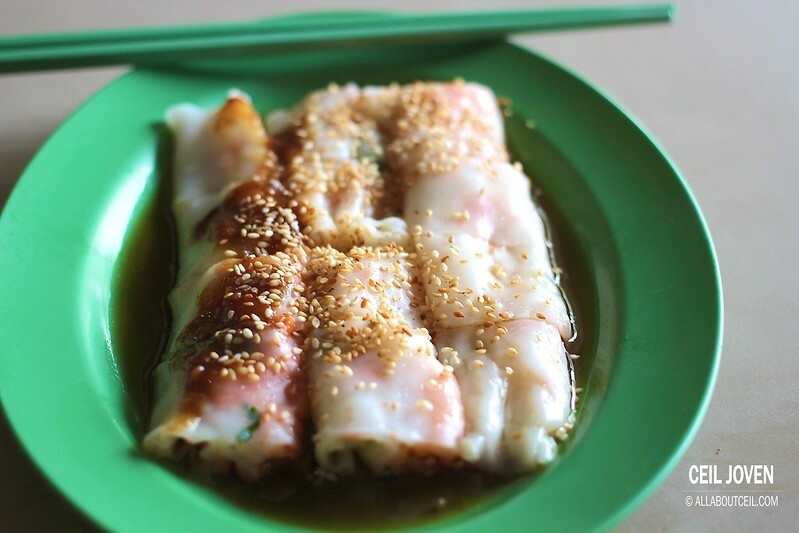 She then applied on just one of the three rolls of Chee Cheong Fun so i would get to taste the difference between chilli and non-chilli. The presentation was pretty neat. I tried both the chilli and non-chilli pieces but prefer the chilli one much more. The sauce tasted quite different from other stalls. Auntie mentioned that it tasted more like sweet & sour sauce with rather minimum level of spiciness. It generally tasted nice to me though i could not distinctly taste the spiciness nor sourness or sweetness out of the sauce. The filling of char siew was of quite a generous amount. 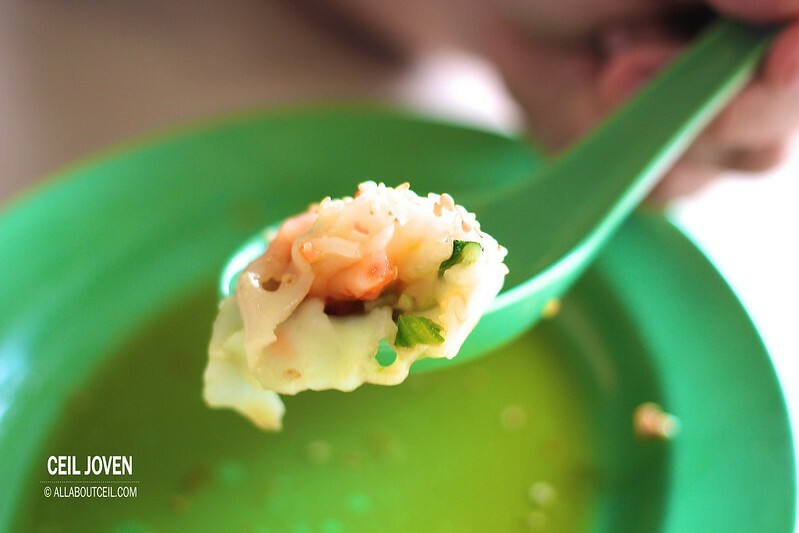 The thin rice sheet was of a desirable softness with a delightful smoothness. I could not quite appreciate the combination of char siew and shredded lettuce. If i ever come back, i would definitely request to leave the shredded lettuce out. 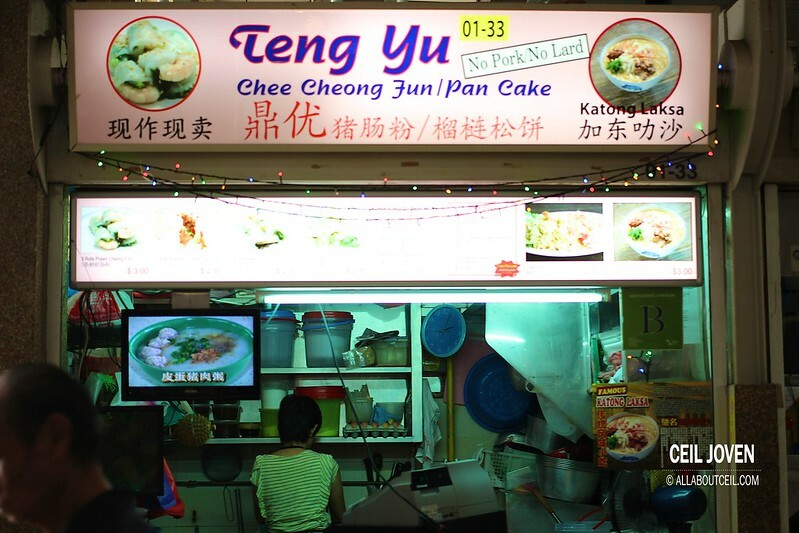 An interesting stall to look out for especially if you are game enough to try out the Durian Chee Cheong Fun there. Block 29 Bendemeer Road #01-33 Bendemeer Food Centre SINGAPORE 330029.